Book Condition: Ships same day or next business day! UPS shipping available (Priority Mail for AK/HI/APO/PO Boxes). Used sticker and some writing and/or highlighting. Used books may not include working access code. Used books will not include dust jackets. Comment: Ships same day or next business day! UPS shipping available (Priority Mail for AK/HI/APO/PO Boxes). Used sticker and some writing and/or highlighting. Used books may not include working access code. Used books will not include dust jackets. Ships from and sold by WiseChoice Books. A central concept in the evolutionary theory of senescence is the idea that ageing results from life-history trade-offs. 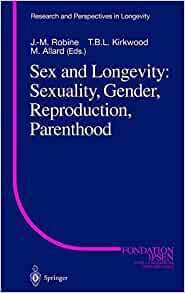 In particular, the disposable soma theory suggests that longevity is determined through the setting of longevity assurance mechanisms so as to provide an optimal compromise between investments in somatic maintenance (including stress resistance) and in reproduction. Comparative studies among mammalian species confirm that cells from long-lived species appear to have a greater intrinsic capacity to withstand stresses than cells from short-lived species. Childbearing at older ages has become increasingly common in modern societies because of demographic changes, medical progress and personal choice. While the detrimental effects of late reproduction on infant mortality and genetic diseases have been well documented, little is known about the possible postponed detrimental effects of late parenting.